Ten years on from Burial’s self title debut record, Getintothis’ Adam Scovell explores the connections between his music and JG Ballard’s The Drowned World. This May will see the 10th anniversary of Burial’s self-titled debut release on Kode9′s Hyperdub label. 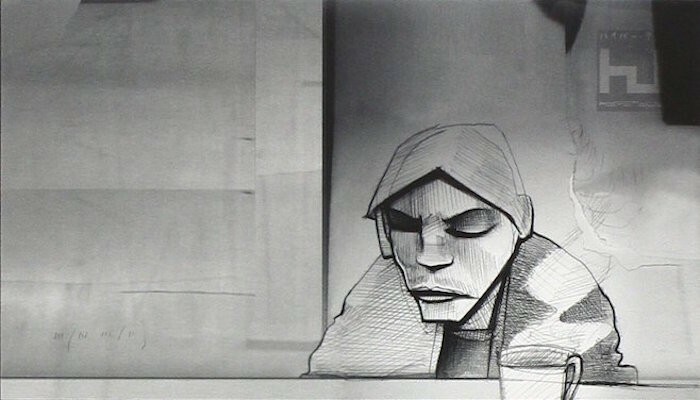 While one of Burial‘s key thematic features is the negation of simple backtracking formalisms, instead opting to follow chosen routes through to what Mark Fisher calls “Lost Futures”, it is worth exploring this album a decade on because of its surprising and melancholic function as a pure form of documentation. The place that the album recreates (both in the physical and in the sociological sense) and that produced Burial‘s outlook of sub-topian musicality, has now arguably vanished or, at the very least, is in the process of vanishing. Perhaps this was a vision already perceivable in 2006, almost a decade into New Labour’s hypertrophic spin upon Neo-Liberalism and two years before the financial crash; Burial is aptly named with the implication of a relic or a time-capsule that is awaiting unearthing. Whether it’s too late to learn anything from its meaning or to escape the repetition of the cycle that started in 1979 is, however, debatable. William Bevan‘s polyrhythmic abstraction manifests in such a cohesive totality on the album that it’s surprising when breaking it down to find just how many musical and cultural sources there are, never mind the fact that they all work together so well. Yet Burial was not putting together a list of reference points in some bland post-modern sense, but through an entirely parallel but differing methodology. The album as a whole is more accurately described as para-modern, both in its sense of haunting and in its slipping between a recognisability that is being used to readdress the alienation of post-millennial social and cultural forms. With this at the heart of the album’s function, the music and the artwork acts as an antidote to the cultural aesthetics with the soft-filtered tint that regularly and forcibly engulfs consumers a decade later. In other words, that sort of cultural, consumerist hegemony is virtually unimaginable in the world depicted on Burial‘s album cover and within the music’s sonic labyrinths. 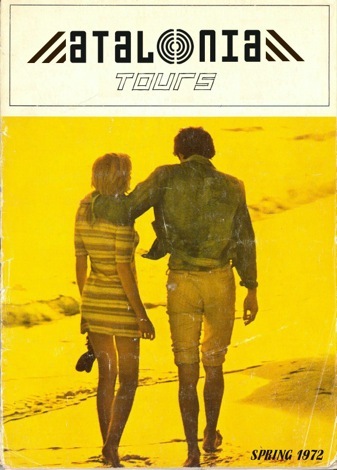 The cover photography is also by Bevan and depicts a strangely purple urban vista, faint lights and spindly roads making up a washed-over, concrete landscape. The terrain is South London, the view being afforded almost of Wandsworth Prison but the murk hiding much that is there after the main holdings of Trinity Road; Clapham and its spidery junction fading into a distant memory-haze straight ahead while the affluence to the very left and off the album’s edge – Waltham Green, Fulham, Chelsea and its docks – being just a figment or concept. 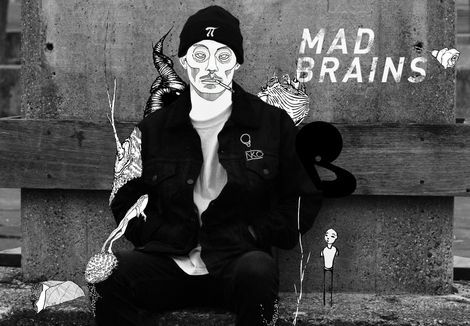 Much is made of the album’s thematic core being that of a dystopian flavour, often being tied to the natural disaster of a flooding. A South London submerged, much like the album’s bass, which always feels at some imperceptible distance and only fully drops at moments that feel like coming up for air; swimming down Wandsworth High Street, floating on right to Her Majesty’s Prison. This is a pre-gentrified zone and its accompanying sounds, as if created from a parallel world where the communal spirit wasn’t entirely sold off, unafraid of Thatcherism’s rewrite of social space and society. As Ballard writes in his novel, The Drowned World (1962), a common key link to Burial‘s first two albums: “If we let these buried phantoms master us as we reappear, we’ll be swept back helplessly in the floodtide like pieces of flotsam.” Society is still following Ballard‘s prediction as if in blue-print, edging the world that Burial spoke from further and further to the periphery. Much is made of the album’s odd collection of samples, ranging from a number of lines from Alejandro González Iñárritu‘s film, 21 Grams (2003), to Brian Eno and Ashanti, but the moving of all of these elements into a different context belies the potential cultural connotations that such references could provide; they must be seen as collages upon underwater streets, neighbouring Brixton vibrations, far from burning up as Punk claimed, but subtly sinking away as the affluence of the city becomes more interzonal. Listening to its waves ten years on – especially on tracks such as Distant Lights and Wounder where the spirit of a future dreamt by the rave and dance movements of the 1990s still manifests – it seems even further away today to the point where such a potential feels more akin to a pipe dream. Mark Fisher writes of this aspect whereby “Muted air horns flare like the ghosts of Raves past… What you momentarily thought was muffled bass turns out only to be the rumblings of tube trains.” (2006); the musical freedom afforded of the communal kind at the point where he was writing (the year that Burial‘s debut dropped) had been driven to invisibility but still haunted with its ectoplasmic optimistic potential. 2016 isn’t afforded the same such ghosts as Fisher‘s, and Burial‘s spirits have been subtly removed from the very topography of the landscape in which they originally haunted. Burial is a time-capsule in this sense. Ten years ago, it was the ghosts of optimism that were contained in the interment of such ideas, but they have since been dug up, dug out, exorcised and gradually removed from the social plain by increased rent prices and the like. Listening to Burial is connected with Jacques Derrida‘s ideas not simply because of the link with Hauntology, the phrase that Derrida coined before its relative appropriation for modern aesthetic analysis by Fisher and others, but through another of his ideas. In 2006, Burial was the signifier of a potential other, its ghost could still manifest even simply as nostalgia, a related memory of the communal musicality still finding a place in the mainstream. In 2016, the album is now the “signifier of the signifier” in the Derridian realm as we are twice removed from the haunting and, more importantly, its potential to happen again as whole cultural voices are slowly silenced completely by a bland consumerism: “All the way down the creek, perched in the windows of the office blocks and department stores, the iguanas watched them go past, their hard frozen heads jerking stiffly.” (Ballard, 1962). In April last year, these ideas bubbled over into aggression when the Brixton branch of Foxtons Estate Agents had their windows smashed in protests against such ideas, proliferating at the hyper-accelerated rate achieved during the first five years of this decade. It’s a poignant moment as the map of Burial‘s artwork is of the same zone that effectively is for sale in Foxtons’ windows. A rough estimation of the estate agency’s whereabouts on the cover being most probably in the foggy blur on the typography’s right-hand side. It’s fitting that the voice-sample used on Gutted, taken from a line from Jim Jarmusch‘s Ghost Dog: The Way Of The Samurai (1999), suggests “Me and him, we’re from different, ancient tribes. Now we’re both almost extinct but sometimes, you’ve gotta stick with the ancient ways, the old school ways.“. Burial is no longer nostalgia, or functioning purely as Hauntology in Fisher‘s sense when put in the context of its lack of fit with the modern, social topography of its original urban area. It instead lives up to its name in being a literal sonic artefact, remnants from a time of nostalgia for optimism now lost doubly over; like a Ouija board waiting for the right listeners to excavate and conjure back its spirits. But the ghosts are long gone. “The bulk of the city had long since vanished, and only the steel-supported buildings of the central commercial and financial areas had survived the encroaching flood waters. The brick houses and single-storey factories of the suburbs had disappeared completely below the drifting tides of silt.” J.G. Ballard in The Drowned World (1962).